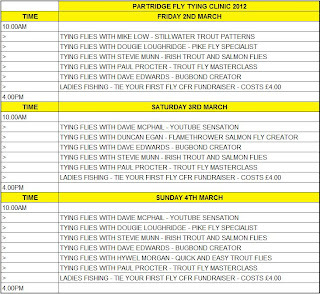 These are timetables for the events at the Open Weekend so you can plan your day at the Angling Centre! 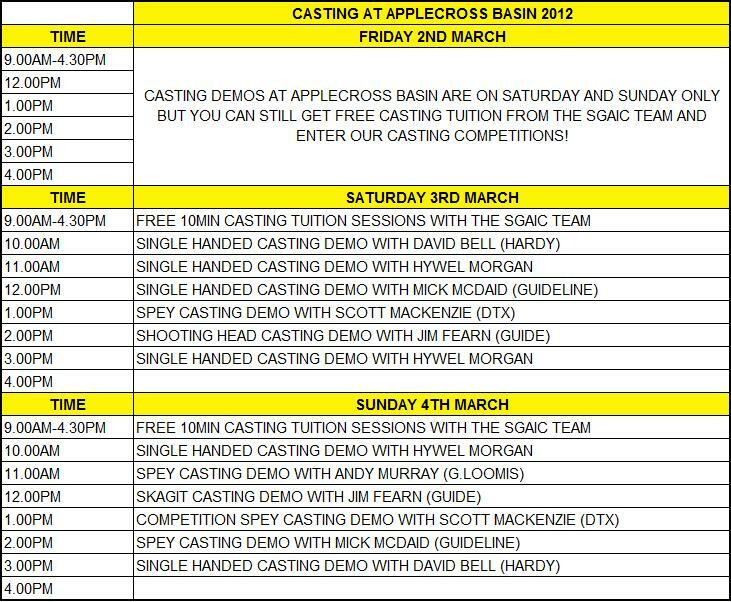 Most of the casting demonstrations will take place on the nearby canal basin. The Applecross Basin is just 2 minute walk from the shop, see the map here for details. 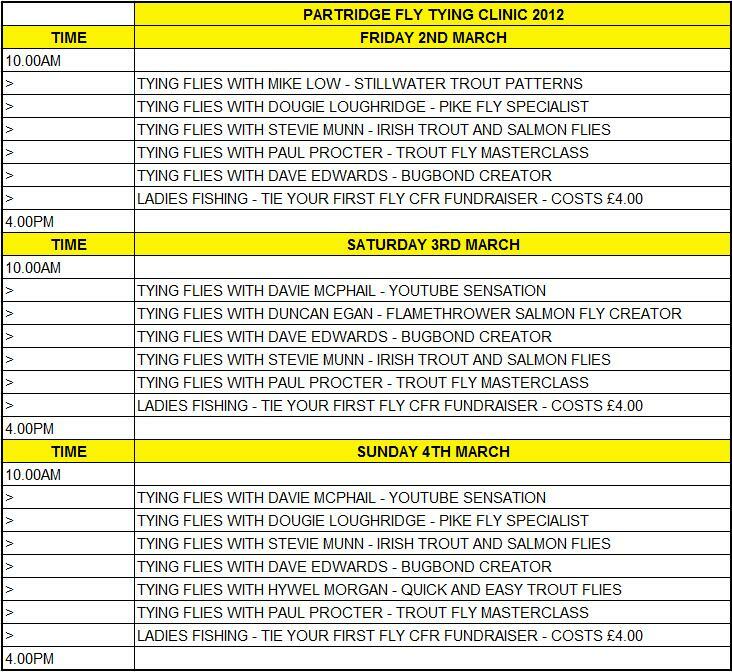 The fly tying demonstrations will be towards the rear of the store where the Cookshill stand is. This can be the busiest area during an open weekend as some of the world top tyers show you how its done. Keep an eye out for other fly tying stuff going on around the store too! 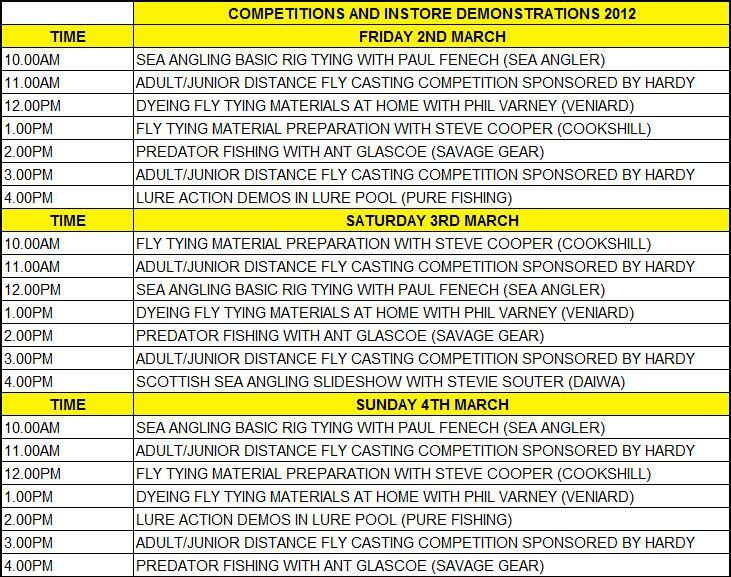 These other slide shows and demonstrations are very popular, with knowledgeable people from the industry letting you in on the tricks of the trade from a wide range of angling disciplines like sea angling and predator fishing. These will be held next to the fly tying area, or in the middle of the store and the new Lure Testing Tank will be outside the front of the store. 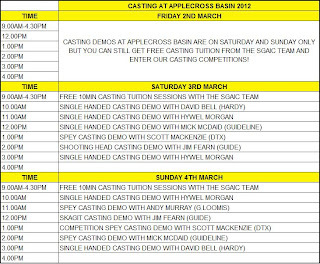 You can register for the casting competitions at any time, just let us know which session you want to cast in! 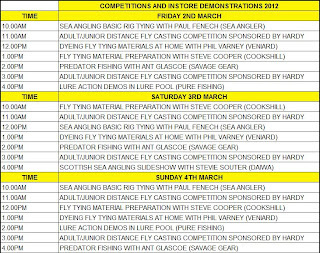 There will be loads of other stuff happening on the Open Weekend dates as well as some amazing bargains on fishing tackle. Keep an eye out on Facebook, Twitter and instore for more info on what's going on at this event! These timetable are only a guide and changes might be made on the day so check back here, view the posters instore or ask a member of staff for more info!